'For everything there is a season, and a time for every matter under heaven.' (Eccl. 3:1 - NRSV). 1. The Reverend Heather (& Jim) Kennedy moving to the Ellesmere Co-operating Parish in Canterbury, having completed 16 years of faithful service here in the South. Our prayers and best wishes go with them. 2. 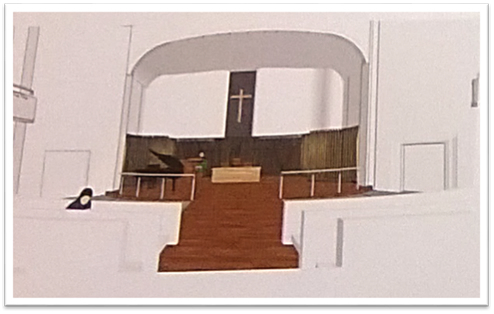 The refurbishment of the Worship Sanctuary is gaining traction. Hopefully the community of faith will be back in the Church by August 2017. My grateful thanks to Bill Watt and David Cocker for their ongoing oversight of the work. 3. The continuation of ESOUL, the Church's outreach to international students, which is led by Jen & Ian Richardson and ably supported by members of the First Church Women's Group. We've been encouraged to see a number of young students joining us on Sunday mornings for worship. 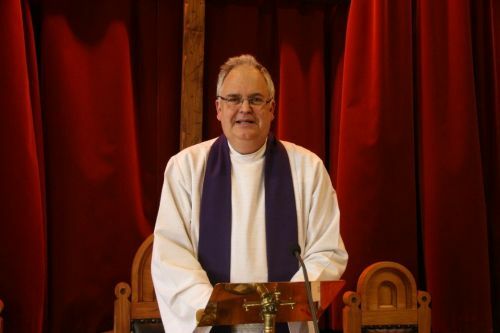 with the executive of SYNOD and the Otago Foundation Trust Board as we sort out grants for church buildings, education (both religious and secular) and mission and evangelism projects. 5. Lastly but not the least, the retirement of Sherry Shelton, who has served as our Director of Music over the past five years. Sherry's choral experience and prowess on the organ will certainly be missed and again our prayers and best wishes go with her. Mission. Look out for our new mission statement in our next newsletter in June 2017.